When planning a fabulous getaway to Branson, book the Two Night Branson Getaway Package. This package includes two nights of lodging, dinner, and a show at the Dolly Parton's Stampede, and admission to the Acrobats of Shanghai! Dolly Parton's Stampede is commonly referred to as the most fun place to eat in Branson, and you'll see why when you catch a meal and performance in their impressive arena. 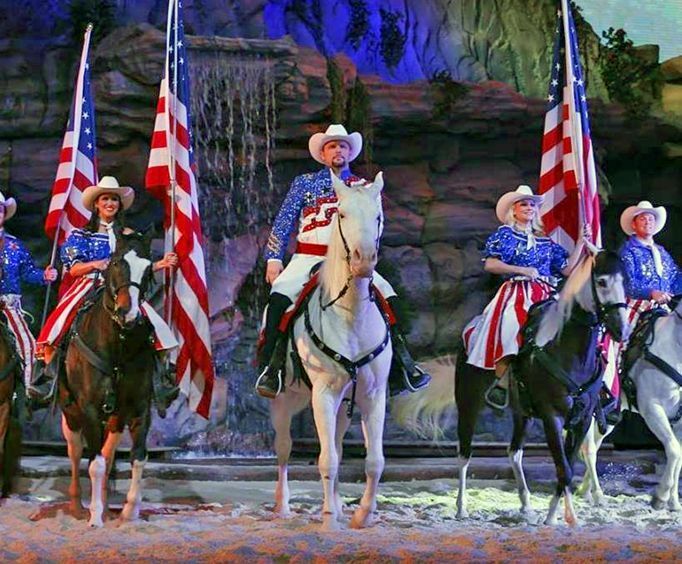 At the show, you will see an incredible cast of gorgeous horses and their talented riders perform fantastic feats while you enjoy a delicious meal of rotisserie chicken, vegetable bisque soup, corn on the cob and a delectable dessert. Audiences will be amazed by the incredible feats of physical valor performed by the Acrobats of Shanghai! During the performance, you will witness the magnificent performance of countless acrobats, complete with a lively stage production! With two nights of lodging included, your vacation in Branson will not only be full of spectacular entertainment, but it will also be very convenient to plan and book. For a great time in Branson, book the Two Night Branson Getaway Package today!